Windows Phone 7 set for huge upgrade? 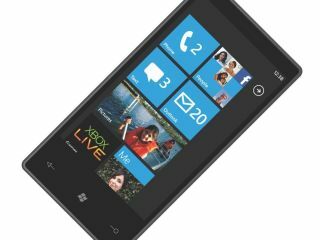 Microsoft's first update to Windows Phone 7 looks likely to be 'massive', with a number of new features omitted from the launch devices. This means copy and paste, multitasking support, turn-by-turn directions in Bing Maps and even custom ringtones. While admittedly still a rumour, when visiting Microsoft's Redmond HQ ahead of the launch, TechRadar was told that it's likely the first update would have to be completed via the PC, rather than an over the air upgrade, so something big seems very likely. Developers who claim to have seen the new build are very excited about it on Twitter, saying: "MS took 3 months to do what Apple did in 3 years". We hope that's really true, because copy and paste and multitasking are thing we already really miss on Windows Phone 7 – although we doubt 'true' multitasking could have been crafted already, so it will probably be some pseudo-background running for certain apps for now. Screenshots are being promised for later today, so if this is true then we might be looking at the future in less than 24 hours. Exciting times.